Pete Fowler will be co-presenting a program on Habitability Claims on 11/29/2018 at the ASCDC Construction Defect Seminar in Costa Mesa, CA, in addition to delivering it as part of PFCS’ 2019 Investigating & Evaluating Property Claims Webinar Series. Matthew Philippe & Pete Fowler will present a webinar called Mechanical Construction Defects. Mechanical Construction Defects is for anyone who needs to know about risk management, claims, and litigation related to Mechanical (heating and air conditioning), Electrical or Plumbing (MEP) systems. Jordan Scott & Mike Villalba will present Understanding & Evaluating Construction Estimates. This program is for everyone who deals with buildings or construction (and that's a LOT of people). Slip, Trip, Fall & Personal Injury Claims is a 1-hour walk through Pete Fowler Construction Services’ (PFCS) Construction Claims Analysis Method applied to personal injury claims that occur as a result of a hazard in the built environment. Pete Fowler and Paul Viau presented a one-hour webinar called Landlord-Tenant Disputes, one of the more common project types that our company is handling these days. Pete Fowler will present a webinar called Adjacent Property Disputes. Our company has been dealing with these claims and litigation since the company was founded. Paul Kushner and Alex Prokop will present a FREE webinar titled "Investigating Water Intrusion Claims. Additionally, forensic expert Pete Fowler will explain the various components of a building envelope that can allow water to intrude into the interior. 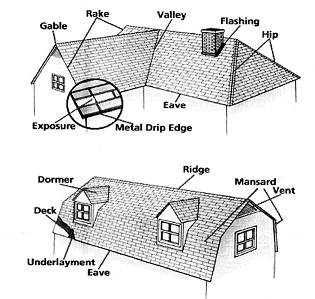 In this webinar we will introduce you to what a roof is, what it is made of, how it is constructed, and the various components of a roof. In addition we provide an overview of the regulations which govern roofs and their construction. How or why some scientific evidence or expert witnesses are allowed to be presented in court and some are not can be confusing. However, there is significant precedent that guides the way these decisions are made. Managing the development and delivery of opinions, reports and testimony is key to success. PFCS technical experts will provide a work breakdown structure that provides, among many things, an ability to define a 100% complete scope of work for a construction project.